Petyr Baelish, you old dog. LOOK, WE KNOW nobody can touch Tyrion Lannister as the best thing about Game of Thrones. I wasn't surprised by Game of Thrones tonight but I was made very happy. 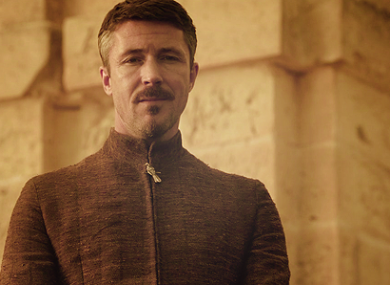 Littlefinger may be my favorite character after Tyrion. Email “Aidan Gillen is suddenly everyone's (second) favourite on Game of Thrones ”. Feedback on “Aidan Gillen is suddenly everyone's (second) favourite on Game of Thrones ”.